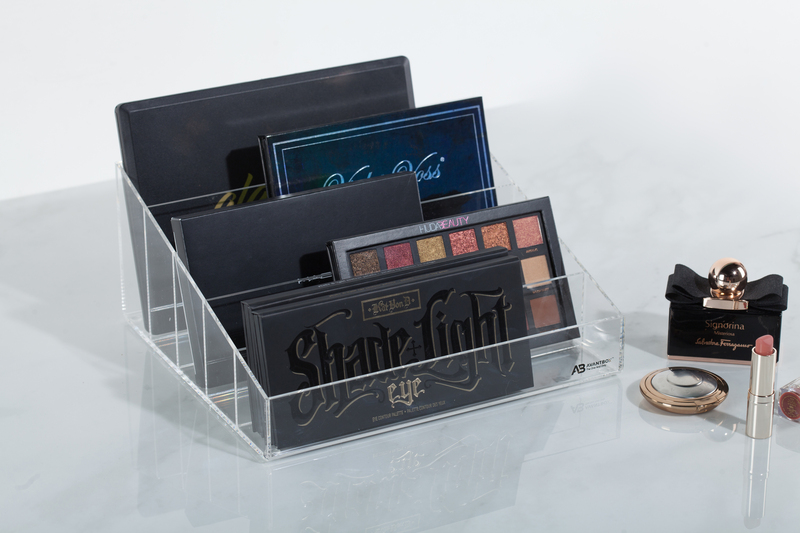 An essential piece for makeup palette collectors, AvantBox Briana is dedicated to the community of makeup palette lovers. 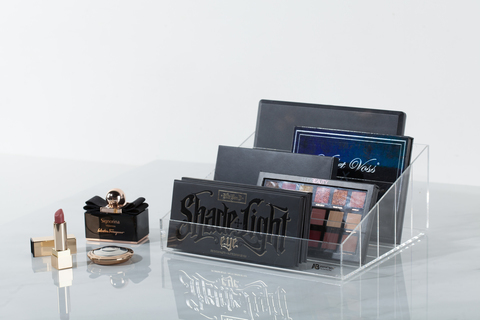 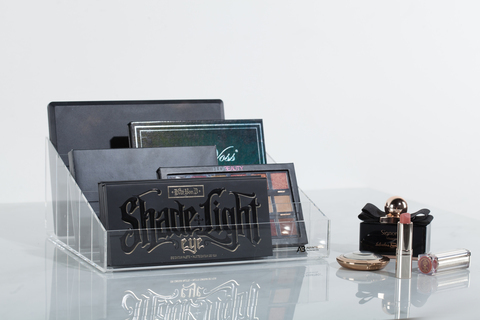 Constructed with 5 sections, Briana can hold numerous palettes with multitudes of sizes. 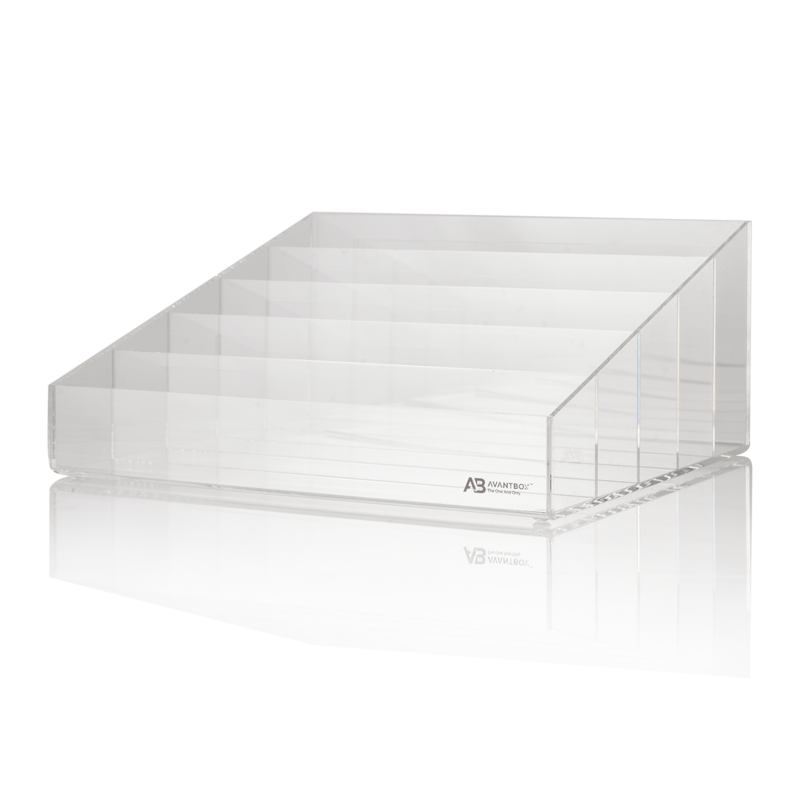 The flat base construction is a space saving option for a more compact storage. Made from premium-quality, crystal clear, pure Lucite acrylic, AvantBox Briana will add elegance and sophistication to your vanity counter.